September 20 Meeting: Ground is a Myth! 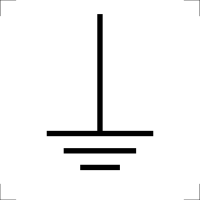 Ground is something you stand on, but in an electrical sense, the meaning is much less clear. When it comes to broadcasters and ground, things get really confused. We drive rods into the earth, but why? Let’s take a look at whether any of this makes sense, and what theory tells us about “ground”, and if it exists in any sensible way at all. We’ll talk about DC grounds, RF grounds, and even about gravity. Join us Wednesday, September 20th, 2017 at noon at iHeartMedia, 9660 Granite Ridge Drive, San Diego. Chapter 36 will provide pizza for this great lunch ‘n’ learn session. Kristen McIntyre, K6WX, has been interested in radio since she was about 5 years old. She started in Amateur Radio in 1979 getting her ticket while at MIT. Kristen has worked in many diverse areas from analog circuit design to image processing to starting and running an ISP. She is currently working at Apple in Core Networking, and spent many years at Sun Microsystems Laboratories where she was researching robustness and emergent properties of large distributed computer systems. She is a long time denizen of Silicon Valley and has worked at or consulted for many of the usual suspects. Kristen is an active ham and loves to chase DX on HF with her Elecraft K2 which she built while visiting her mother in Florida. She is an ARRL Technical Coordinator for the East Bay Section, president of the Palo Alto Amateur Radio Association, the Q&A columnist for Nuts and Volts magazine, and is active in many local clubs. Kristen was recently inducted into the CQ Amateur Radio Hall of Fame.